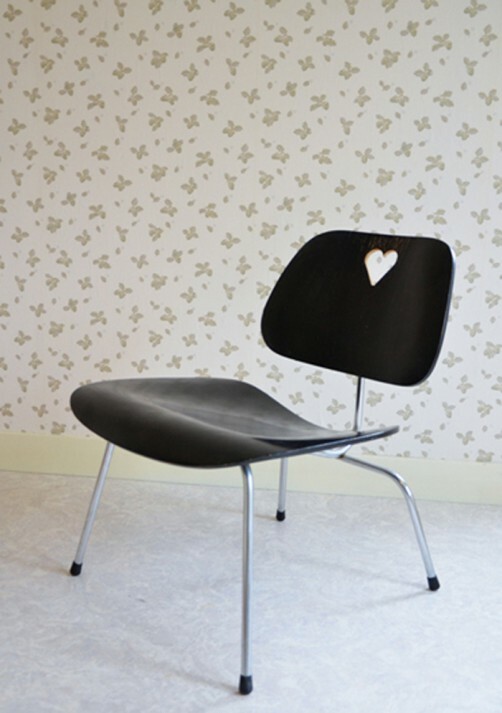 Eames your hart out: a Homage to our most beloved designers, Charles and Ray Eames. 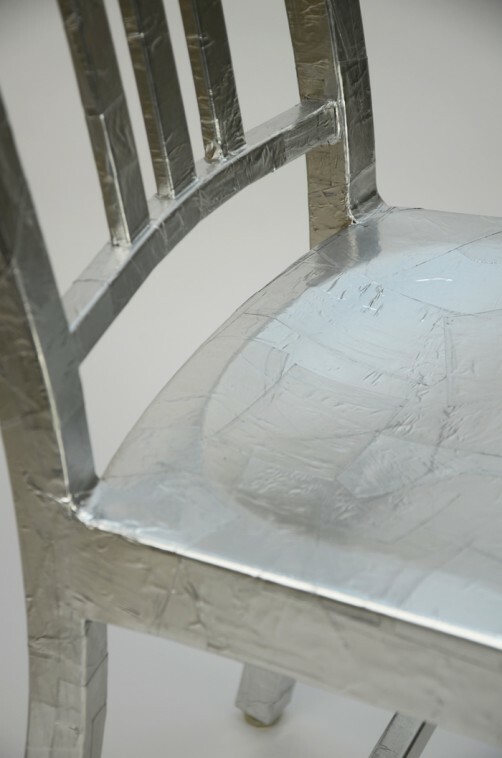 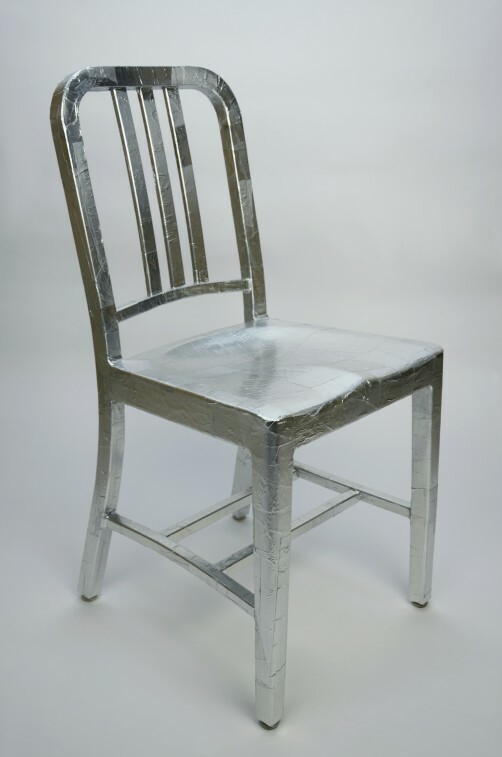 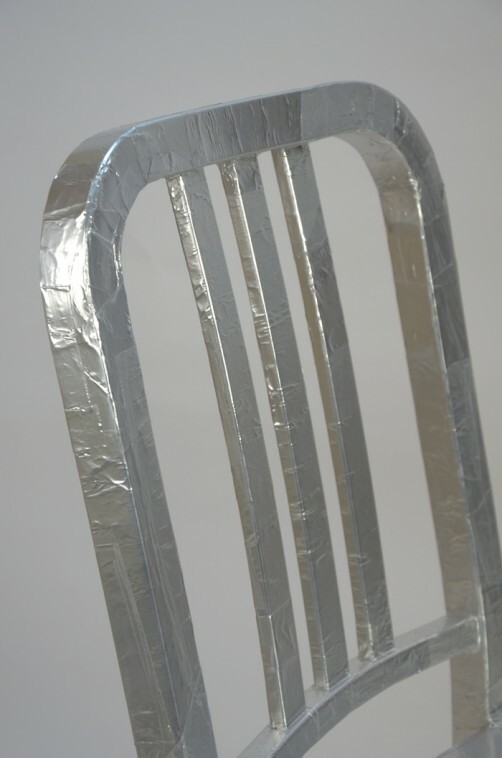 +346 gramms, research on the EMECO Navy chair, how 325 gramms of industrial grade aluminium tape changes the skin of the chair and gives it a more fragile appearance. 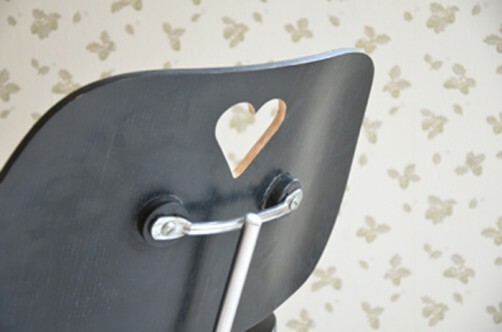 Nightstand Chair: Unusable old nursery chair converted into a nightstand. 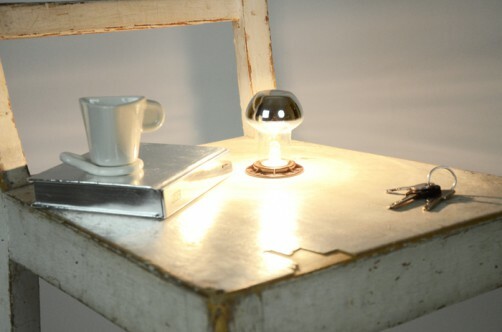 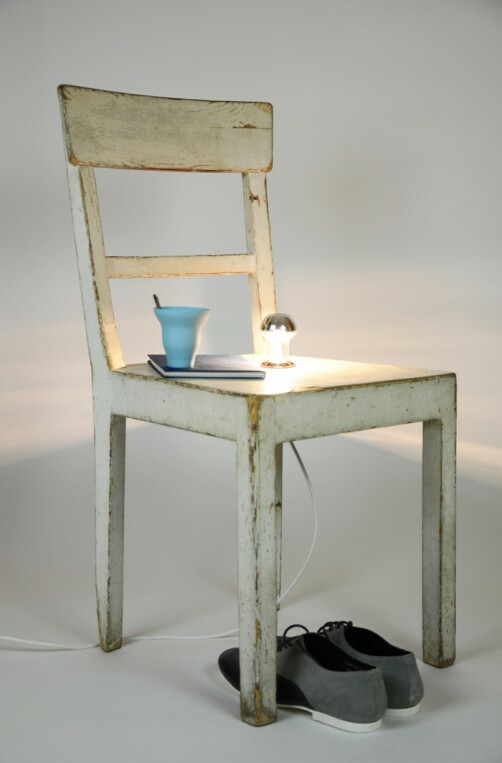 By planting a mirrored lightbulb into the seat it transforms into a table to put your book on, the backrest is of course to hang your clothes on.